1. Why do auto claim settlement offers from insurers often contain errors in valuation? There are an estimated 440,000 accidents every week across the US, with 76,000 declared total losses, each of which requiring a value to be determined for settlement. Insurers must juggle a fine line between speed and accuracy. It is obvious that a proper appraisal of a specific vehicle is a challenging, time consuming and resource consuming task. However, insurers understand that their policyholders need speedy settlements to get back on the road and back to their busy lives following an unfortunate accident. Because of this, they utilize large Market Valuation Report providers who can meet their high demand for fast turnaround valuations. In order to process thousands of reports each day, these valuation providers use algorithms that pull together samples of what are believed to be similar vehicles and make fixed program adjustments based on what are believed to be the differences between your vehicle and the sample vehicles. For every difference that they correctly or incorrectly identify, and for every difference that they miss entirely, there is a source of potential error. Only for very base vehicles would one expect these algorithms to be fairly accurate on average. 2. If your valuation methodology is the best, why doesn’t my insurer just use your service? If an insurer asked us to supply their Market Valuation Reports, we would have to turn them down. The only way we could possibly hope to meet their volume requirements would be through extreme automation; and if we did that, our product would likely be little or no better than the valuation services already available to insurers. 3. Is challenging my insurer’s valuation a contentious process? Insurers certainly prefer that you simply accept values provided by their preferred estimators, but they should be well aware of the potential for misvaluations. That is in fact the reason behind there being a prescribed method in all contracts for arriving at fair settlements when initial estimates are questionable. Some Auto Claim Specialists clients have in fact been employees at auto insurance carriers, and, as expert auto appraisers, Vehicle Value Experts is often hired by insurance companies to act as umpire in difficult valuation cases. Determining a fair value for your vehicle is an exploratory and fact finding process, not a contentious one. Once the facts are laid out showing how a vehicle was misvalued, insurers inevitably accept the revised value. After all, it is their duty of good faith and fair dealing to fully indemnify their policy holders for damages suffered, and that can only be accomplished when losses are correctly assessed. 4. Why should I use a Public Insurance Adjuster to settle my auto claim? 5. How can you help with my total loss claim settlement? The driver of total loss settlements is your vehicle’s actual cash value (ACV) at date of loss. A sound current Certified ACV Appraisal from Vehicle Value Experts helps put us in the driver’s seat in negotiating your claim. Based on provisions in your auto policy, we are able to move the settlement of your claim out of the hands of the insurance company and into the hands of certified appraisers who understand all of the factors that impact your car’s value (CarFax, number of owners, service records, vehicle condition, options, accessories, local market supply and demand, etc.). In addition, the higher settlement that we negotiate gets magnified by the applicable sales tax that you are entitled to recover. 6. How can you help with my partial loss claim settlement? We carefully examine the required OEM Procedures, Operations and Guidelines for repair estimates to restore your vehicle back to its Pre-Wreck OEM condition. As in the case of a total loss, the driver as to how your claim gets settled is the vehicle’s Actual Cash Value. A correct ACV appraisal from Vehicle Value Experts can alter the entire path of the settlement process. In addition, we research the State Transportation Code regarding your specific repair requirement, and review the policy language of your insurance carrier concerning required repairs. Based upon our analysis we construct an exact damage loss model for your anticipated recovery and path to recovery such as to make you whole on both the proper repair work and the diminished value of your vehicle due to its updated history status. 8. Can I trust you to represent my interests in a professional manner? We are all licensed Public Insurance Adjusters. As such, we have a duty to act solely on the behalf of you, the insured. We have passed rigorous state testing and bonding requirements, and our conduct is regulated and monitored by our respective State Insurance Commissions. 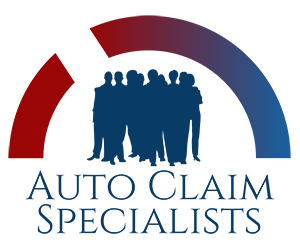 Your Auto Claim Specialist is also a specialist in your state’s current insurance laws and regulations pertaining to unfair claim settlement practices, record maintenance requirements, continuing education requirements and so on. We follow the Public Insurance Adjuster Code of Ethics “to a T,” as it is only our PIA license that allows us to legally represent your interests in insurance claim settlements. 9. In which states are you licensed to do business as a Public Insurance Adjuster Agency? Please refer to the list on our license page. If we are not yet licensed in your state, please contact us. We are happy to add states as needed. Many can be added in a matter of days. A few have more time-consuming requirements.